Although I have posted pictures and video of ships using features added in more recent patches they have not been uploaded yet. Drag the models and textures folders into the main SpaceEngine directory. If this annoys you then extract the models pak file. XVC engine by Luis Picolo and Raul Mamoru. Replaces the black hole, only made this for screenshot purposes. Shader is attached to the bottom of this post. You will need to use the "noclip" cheat to get up close. To use this shader you will need to rename it to blackhole_warp. Alternatively you can extract the blackhole_warp.glsl shader from the shader pak file into system/shaders, open both whitehole and black hole in an editor like notepad++, then go in game and use debug mode(* on numpad), and F5 to reload specific black holes after copying the whitehole on top of the black hole shader. You will of course need to undo these changes every time or else every black hole on the next launch will be a white hole. This adjusts the shield volcano temperature settings to be slightly brighter by default instead of having to adjust the thermal emission settings which affects stars and hot rocks. This adjusts the hot rocks temperature settings to be slightly brighter by default instead of having to adjust the thermal emission settings. Shaders are attached to the bottom of this post, goes in system/shaders directory. Shaders should be named tg_terra_glow, tg_selena_glow, and tg_asteroid_glow. You do not need all 3, each is optional. This addon is a custom edit of the current Sol System. All light maps are created by me (DoctorOfSpace) but sourced from NASA Earth light images. I originally started this project in hopes of officially adding these as an easter egg for SolSys3000 but that didn't happen. This edit is simply custom light maps for Earth's Moon, Mars, Mercury, Mimas, Dione, and Titan. The catalog file has been edited to include the lights and life tags, no other changes are present besides an adjustment to Titan's clouds. It is the SolarSys.sc attached to this post. An adjustment to the ship warp shader that makes it smaller. Shader is attached to this post and named ship_warpSMALL.glsl, goes in system/shaders directory. Shader should be named ship_warp.glsl. An adjustment to the ship warp shader that makes it smaller and adds dark regions to the center. Shader is attached to this post and named ship_warpDarkSm.glsl, goes in system/shaders directory. An adjustment to the terra/desert clouds by DoctorOfSpace and Rodrigo that adjusts coverage, flow, cyclones, bump, noise, and softness. Shader is attached to this post and named DocRodV2.glsl. Not entirely scientifically accurate but adds a unique look to the ship warp. Roughly based on how light would be seen inside a warp bubble. An adjustment to the ship warp shader that makes it smaller, adds dark regions to the center, and shifts the screen color to red/blue. Shader is attached to this post and named ship_warpRedBlu.glsl, goes in system/shaders directory. Finally got permission for Voyager and the Delta Flyer so I have included them with a 3 ship Borg pack. Comes with Voyager, Delta Flyer, Borg Cube, Borg Sphere, and Tactical Borg Cube. 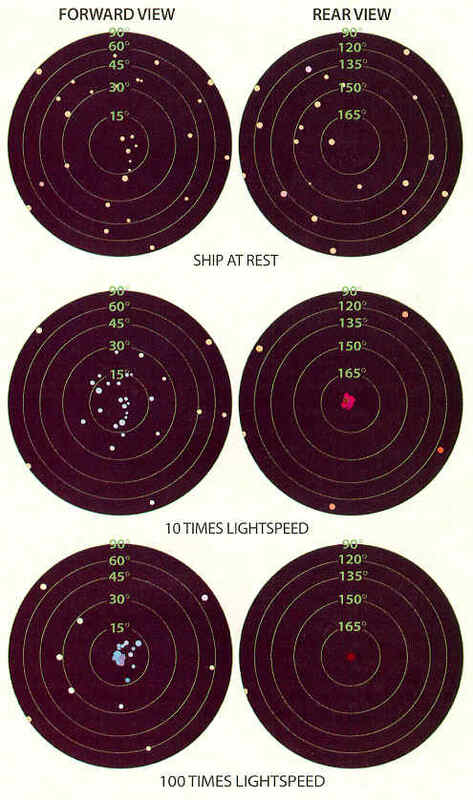 All ships besides Tactical have my own adjustments to the Emis glows and other minor adjustments. All models ported to SpaceEngine and all Mesh and texture adjustments/tweaks/edits by DoctorOfSpace. An adjustment to the ship warp shader that makes it smaller, adds a dark region to the expansion center, compression region glows brighter as field strength increases, and shifts the screen color to red/blue. Shader is attached to this post and named ship_warpGloBlu.glsl, goes in system/shaders directory. This section includes mods from 0.9.7.1 that will still work in 0.9.7.2. They will not take advantage of the new features of 0.9.7.2 such as the "pak" system or alternate camera placement. Ships that are converted to 0.9.7.2 will be removed from this section. Just drag the 2 folders into the SpaceEngine directory. Install by placing the textures and models folder into the default SpaceEngine directory. Ship will be listed under the name Alcubierre Warp Ship in build menu. Loosely based on Harold White's view on how a warp ship would look. 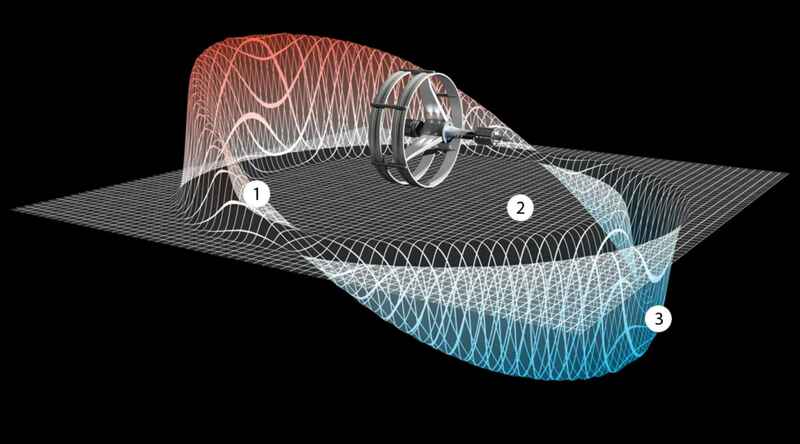 An Alcubierre warp drive would involve a football-shape spacecraft attached to a large ring encircling it. This ring, potentially made of exotic matter, would cause space-time to warp around the starship, creating a region of contracted space in front of it and expanded space behind -- White calculated what would happen if the shape of the ring encircling the spacecraft was adjusted into more of a rounded donut, as opposed to a flat ring. He found in that case, the warp drive could be powered by a mass about the size of a spacecraft like the Voyager 1 probe NASA launched in 1977. Furthermore, if the intensity of the space warps can be oscillated over time, the energy required is reduced even more. Erik Anderson aka Sputnik, Alain Hosking aka 80MilesHigh, Wolfgang Schwarz (Nautilus), Computerrex, Dave Bartles, Mauro Biolo, Michael Evans, Max Grueter, Abraham Katase, kultch, Chris Moon, Michael Powell, Sputnik, Dan Steph, tblaxland, B.J. West, & Vinka. Install by placing the two folders into the default SE directory. This took me hours to get working in 971 with added specular, normals, and emis maps. Performance may be low when viewing this model, it is the combination of 2 shuttles and Serenity with normals and specular applied to nearly all surfaces. I really hope this is appreciated after how long it has taken me. 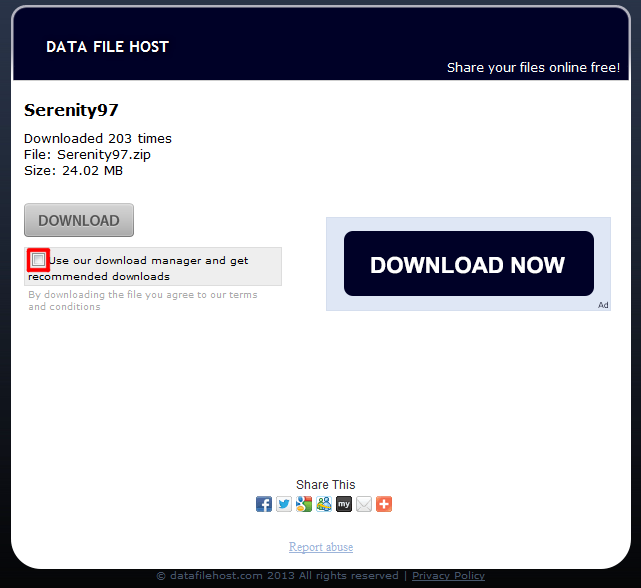 I downloaded 001, tried to open it but 7zip couldn't. I renamed it to just .7z, still no luck... then back to .001. I downloaded 002, and after that was downloaded, 001 was able to open and I was able to extract it where it needs to be. Then I tried to open 002 but now it cannot be opened either. Am I missing something about how this is meant to work? I'm assuming extracting 001 is all that was needed, after having tested everything out. All the ships seem there and functional. You download both parts then extract from the first part. It may require having 7z installed, I haven't tested it with winrar or any other program. It may require having 7z installed, I haven't tested it with winrar or any other program. does it have some theoretical background supporting those distortions? Not really. The anti gravity distortion maybe but the rest is just mirrored from the warp shader update. Added the Colonized Solar System. Beautiful thermal shifts. I'm assuming there'll be a hotter hot gas giants mod? There was a hotter gas giant mod already, just never looked right. I thought the default look was nicer so I never bothered with fixing the adjustments. Added the JJverse Galileo Shuttlecraft from the Star Trek video game. Did I do something horribly wrong? No city lights at all. I installed the .sc- do I have to put it in its own /planets/ folder? I have to put it in its own /planets/ folder? Added two modified ship warp shaders. Saw your post with the red/blue shifting for warps you're working on. Would you be able to take that to its conclusion for the "dark circles" as the light shifts into infrared and ultraviolet? Less of a hard cutoff I guess? Would you be able to take that to its conclusion for the "dark circles" as the light shifts into infrared and ultraviolet? I am not sure how that could be pulled off realistically in SE. I don't even think that the red and blue shifting can be pulled off properly at this time. Some angles look nice and some look bad. I can add glows to those inner circles that get brighter as field strength increases but it doesn't look very good. I may experiment more with this but I don't think it will get anywhere. I've sent it to a couple people so they can try it out and mess around with it. I don't know if I will ever post it. Due to the way the warp is rendered it is also impossible to get a realistic view. When you fly a ship and view from behind you get a red shifted view instead of the compressed blue and if you reposition the camera to the front the effect moves out of sight. If enough people wanted me to post what I have now so they can mess around with it I wouldn't have a problem with that. Added a custom clouds shader.